The controversial movie The Interview is now available online through Google and Microsoft services as well as a Sony Pictures website, the companies announced separately on Wednesday. This development follows Sony’s decision to screen the comedy in select U.S. cities on its original release date of Christmas Day after initially canceling those plans. 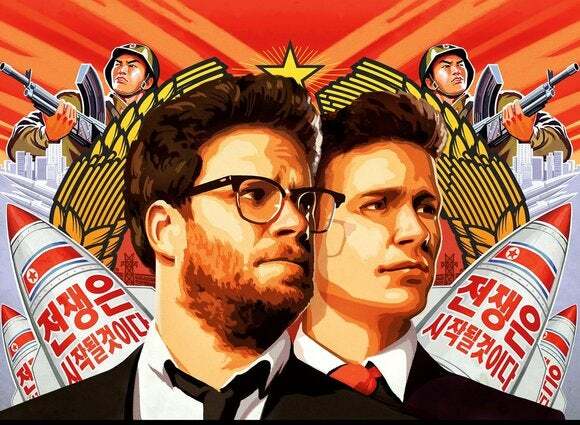 A satire that depicts how two U.S. journalists would carry out an assignment to assassinate North Korean leader Kim Jong-un, The Interview has been anything but a barrel of laughs for Sony, which produced the film. Sony suffered a cyberattack that resulted in theft of emails containing sensitive information like actor salaries and plots of upcoming movies. Additionally, threats of violence against theaters that showed the film led Sony to cancel its theatrical release, a decision it later reversed. Google, which made the movie available to either rent or buy through YouTube and Google Play, weighed the security concerns before agreeing to offer the movie, said David Drummond, Google’s senior vice president of corporate development and chief legal officer, in a blog post. “Sony and Google agreed that we could not sit on the sidelines and allow a handful of people to determine the limits of free speech in another country (however silly the content might be),” he said, adding that Sony approached the company last week about making the film available online. People with an Xbox game console, a Windows Phone and PCs and tablets running Windows 8 and 8.1 can either purchase or rent the movie, Microsoft said in a blog post that also touched on themes of freedom to explain its decision to sell the film. “Our Constitution guarantees for each person the right to decide what books to read, what movies to watch, and even what games to play. In the 21st Century, there is no more important place for that right to be exercised than on the Internet,” wrote Brad Smith, Microsoft’s general counsel and executive vice president, legal and corporate affairs. Microsoft and Google charge US$5.99 to rent the movie and $14.99 to buy it. Sony offers a 48-hour rental for $5.99 from a dedicated website.